In comments over the weekend, New York Islanders co-owner Jon Ledecky indicated that the team’s Belmont Park arena remains slated to open for the 2021-22 NHL season. 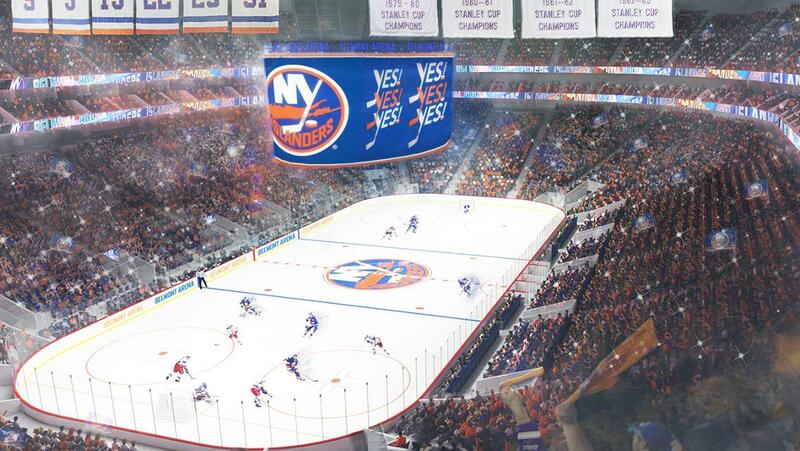 The Islanders are planning a new arena project at Belmont Park, with the venue slated to anchor a larger development plan that includes amenities such as retail, lodging, dining options, and a movie theater. Currently the proposal–which the Islanders are planning in partnership with Oak View Group and Sterling Project Development–is going through an environmental review phase, with final public approval possible in the second quarter of this year. Ledecky previously said the arena’s groundbreaking could occur as early as May. Asked for an updated construction timeline, he said the development team is mindful to not interrupt the Belmont Stakes on June 8…. “I can tell you that the developers have taken a lot of steps ahead of time to make sure this project is fast-tracked,” Ledecky said, noting that recent new arenas have been built in a 20-to-24-month window. “I think had the developers not started and been so far ahead of the game in terms of working on the project, we might be in a different situation,” he said. “But to the developers’ credit, working with the hockey team, they’ve stayed on path. Should the Belmont Park arena stay on that schedule, the NHL would have two notable facility developments for the 2021-22 season, as that is also the same campaign a Seattle NHL expansion franchise will debut at a Seattle Center Arena. The league’s most recent venue is Detroit’s Little Caesars Arena, which opened for the Red Wings and the NBA’s Pistons at the start of the 2017-18 season.